I'm one of these people who likes to stick to the things that I'm used, especially when it comes to makeup because I know that my skin likes certain brands and products. Towards Christmas time, I decided take the plunge and try out a new brand that I hear a few Youtuber's talk about. Ex1 Comsetics is brand that focuses on making products for olive and yellow undertone skin. 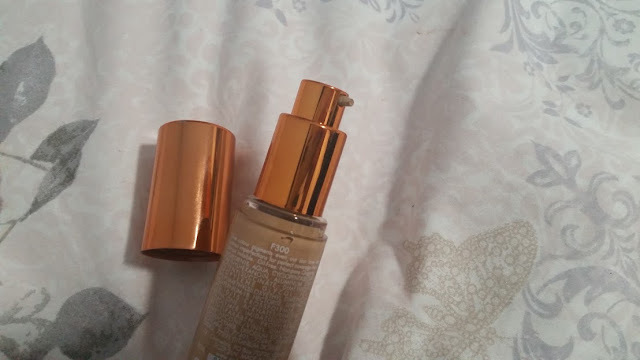 The bottle is a stunning copper colour with a tiny little pump to get the foundation out, I would have preferred something a bit bigger. Its a formula that is non-pore clogging, 100% oil free, fragrance free and great for sensitive skin. I ordered from Look Fantastic where there are 4 different shades available to buy, I went with F300 the second darkest shade and by guessing I managed to pick the right one. 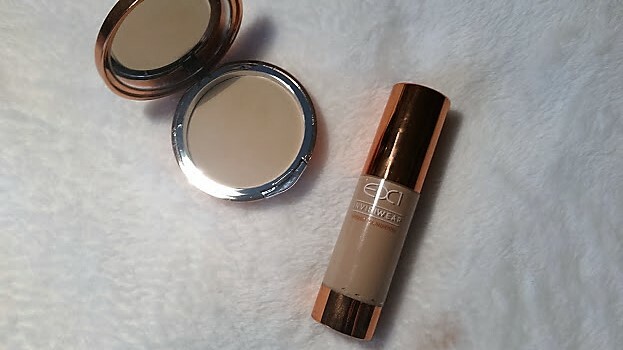 Its a smooth yet thick foundation, you need the tiniest little bit to cover each area of your face. I would say this is medium coverage but can become high if you apply a second layer. It definitely gives my skin a natural look and feels like nothing. Is it anything amazing? Kind of. 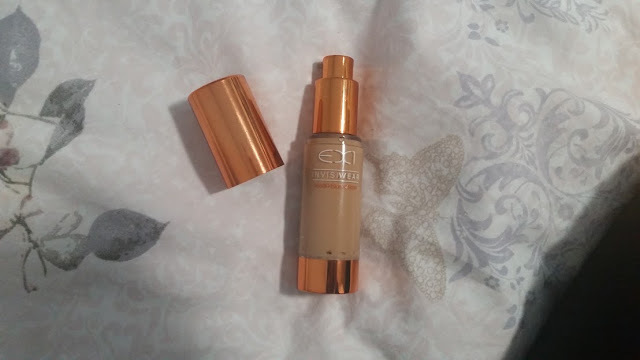 It matches my skin better than any foundation I have ever tried and it feels gorgeous. But its more of one for when I am having a good skin day rather than when I am wanting a long lasting look. 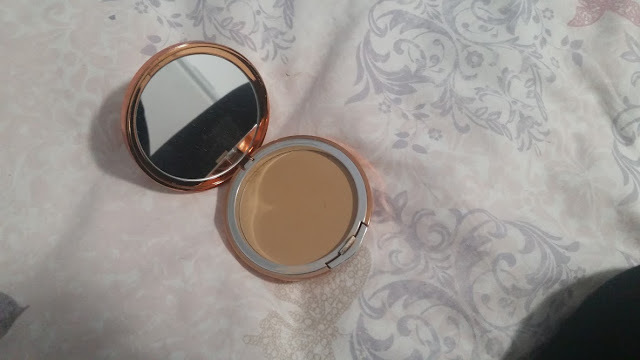 The second item I decided to take the plunge and try out is the matching powder, this was what I was more scared about using because I have used the same Rimmel Stay Matte for as long as I can remember. This is packaged in the gorgeous copper frame with a mirror inside allowing you to touch up on the go. 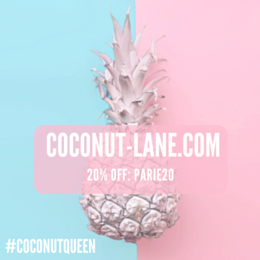 The powder is described as a 'ultra fine milled, long-lasting protection against oil and shine as well as been free from oil and fragrances. Because of it been milled so finely I had a feeling my powder brush wouldn't apply it nicely, so I decided o get out the old school powder puffs. My first mistake was pushing in too much and getting way too much product on than I needed. After tapping off the excess, I managed to powder my face and cover it completely without pressing into it again. It added more coverage to my already applied foundation and for once my skin and neck matched. I had to really blend in the jaw line and nose area with a buffing brush after because I thought it looked a bit orange. I went with P200 but I think I would have gotten away with P100. Overall, both these products have really impressed me. The compact powder however has to be my favourite of them both as it adds more coverage and covers the imperfections more as well as lasting for more than 5 hours, which is my usual powder time. If you have asian/olive skin tone then I highly recommend trying either of these out!